A member of the Peoples Democratic Party (PDP) in Ekiti State is insisting that the Ekiti State governorship election was rigged, tendering evidences on how some areas were blocked in the state during the election. 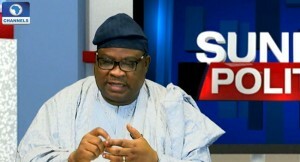 On Politics Today on Sunday, Mr Tope Aluko gave a breakdown of how the election was rigged in favour of the PDP governorship candidate, now Governor, Ayodele Fayose. Explaining a process he alleged was used in rigging the election, he said: “Before the Primaries, we had this believe that because Jonathan was coming out for second term and because we are going to be the first election in the south-west, at a meeting, we told him (former President Goodluck Jonathan) that north-east, north-west and north-central may not be too sure for him because the Hausas are clamouring for presidency and that you now have south-east and south-south, you must manage the south-west”. “It was on the basis of that that we told him that he must manage south-west. “Because of his interest, even before winning the primaries, we did so many security reports to tell Mr President then that he must make sure that we manage south-west zone and it was because of that that he gave us the head of security agencies,” the PDP member said. 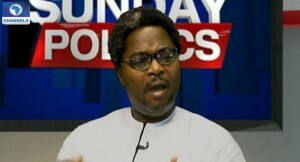 He further told Channels Television that the Minister for State for Defence and Minister of Police Affairs were made to give attention to the election because “we know that APC was everywhere in the southwest and we must naturally capture part of southwest if we want to balance what our brothers in the north were likely to bring on”. Mr Aluko had testified at a lower Tribunal held to look into the election held last year, but he denied saying at the lower Tribunal that the election was not rigged. He said that there was an agreement to take out some members of the All Progressive Congress to ensure that they do not give adequate support to their members. The incumbent Governor was an APC member. “There was a strike team, a mixture of the DSS, military, the mobile police… that is about all. “We had a meeting at Aso Rock on security and funds. We were given security and funds. He listed the persons at the meeting to include the Commander-in-Chief of the Armed Forces the former PDP chairman, Adamu Mu’azu, Governor Fayose and himself (Aluko). “At the meeting President Jonathan agreed that if he needed Ekiti, he would support us to ensure that we delivered. “At the second meeting we had Obanikoro, Jelili, Omisore… It was a combination of Osun and Ekiti people and they were discussing how we were going to move to take the south-west. “Before the primaries, His Excellency, Ayodele Fayose, said that we can only win using the military. “Then we came up with a plan about May,” he alleged. When asked if his revelations were not a betrayal to Governor Fayose, who was his ally, he said there were not a betrayal, insisting that Governor Fayose betrayed him first after they swore by the bible on some agreements reached. “We swore on the arrangement that we had before we embarked on the political venture. “Him (Fayose) becoming the Governor, myself becoming Chief of Staff and Honourable Femi Bamisile becoming the Deputy Governor,” he explained, dismissing claims that he was coming out with the truth because he could not get what was agreed. He referred to a leaked audio mentioned by a military official that was at a meeting he attended, which was subsequently leaked on the internet, saying it was genuine and not doctored. Mr Aluko also said that some monies in hard currency were giving as the funding for the Ekiti governorship election. “That was the money given to the strike team. It was One million per Hilux van per day and they worked for three days,” he said, giving the sum as 132 million Naira. Countering Mr Aluko’s claims, a spokesman to the Governor of Ekiti State, Lere Olayinka, said he was not surprised that Mr Aluko would make such claims, insisting that he (Aluko) was of an unstable character. He further claimed that Mr Aluko had been involved in different crimes, ranging from admission racketeering, issuance of certificates to students while he was a lecturer. “If he comes here to say some of these things, you should just laugh it off. He had said it by himself that he was here to say all these because Governor Fayose did not make him the Chief of Staff. If he received a call that he had been appointed as the Chief of Staff, he will come back here to say that all he said was not true,” he stressed, insisting that people should only be believed if they have integrity. Mr Olayinka further stated that Mr Aluko had appeared before a Tribunal to say that the election in Ekiti was not rigged, insisting that the documents presented by Mr Aluko were put together by him.